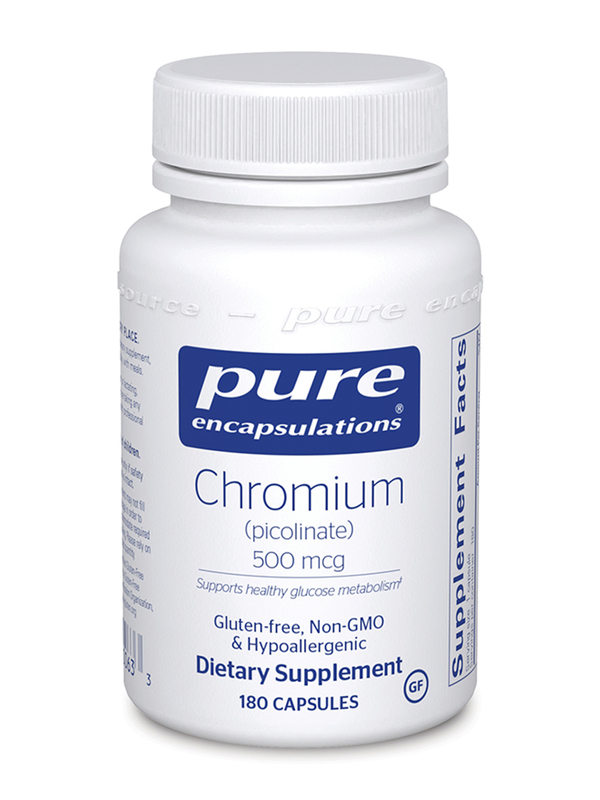 Chromium by Pure Encapsulations has had impactful results in helping to regulate blood sugar and lowering blood glucose. I have been using chromium picolinate for many years now. It is one of my staple items. Helps control and stabilize Blood sugar. My natural doctor suggested I take this Chromium (picolinate) 500 mcg by Pure Encapsulations to help with blood sugar. I have been taking this for a while and it is working. My numbers are slowly coming down, which is great! A properly functioning metabolism can allow your body to produce energy from the foods you eat. Chromium is an important trace mineral that may support the metabolism of fats and carbohydrates‚ specifically. It also works to activate certain enzymes. A chromium deficiency may interfere with your body's ability to maintain a healthy balance of insulin‚ potentially by helping receptors become more sensitive to it. Common dietary sources of chromium include broccoli‚ bananas‚ apples‚ green beans‚ orange juice‚ turkey breast‚ potatoes‚ and beef. However‚ intake through food may vary on a daily basis‚ due to your schedule or differing batches. 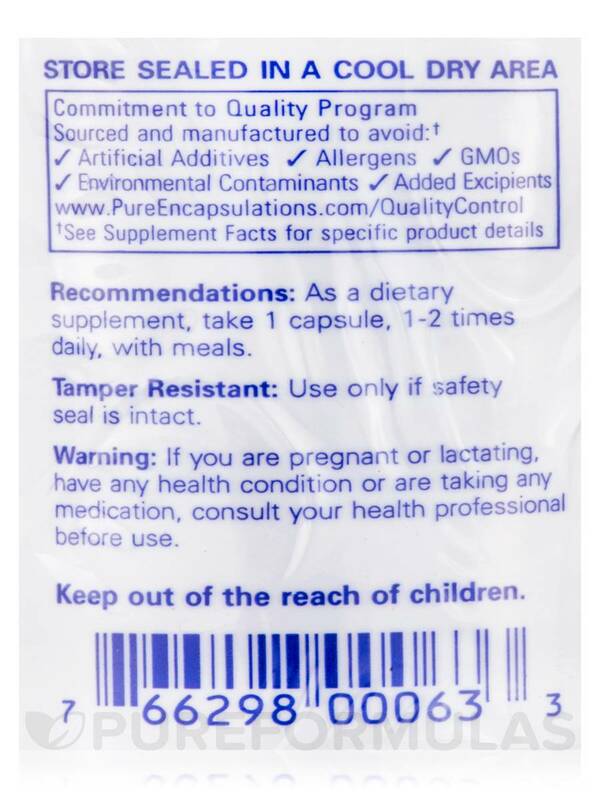 That's why a supplement like Pure Encapsulations' Chromium Picolinate 500 mcg might be right for you. 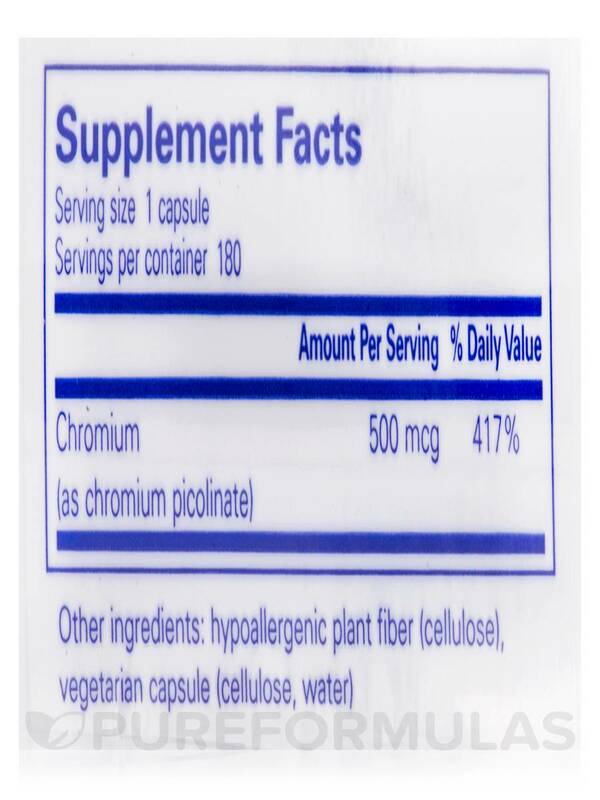 One capsule provides 500 micrograms of chromium to help support cardiovascular health. In particular‚ chromium picolinate is a highly bioavailable form that the human body can easily utilize. Picolinate is a by-product of tryptophan‚ an amino acid‚ and it promotes increased absorption of chromium. This is especially helpful if you consume a lot of processed foods high in simple sugars; they may cause more chromium to be excreted through the urine‚ potentially leaving you deficient. Athletes and regular exercisers may find that chromium may make them feel more energetic‚ while experiencing improved athletic performance and increased muscle mass. Supplementation may help‚ since endurance training may increase urinary excretion of chromium. This mineral may also boost your mood. 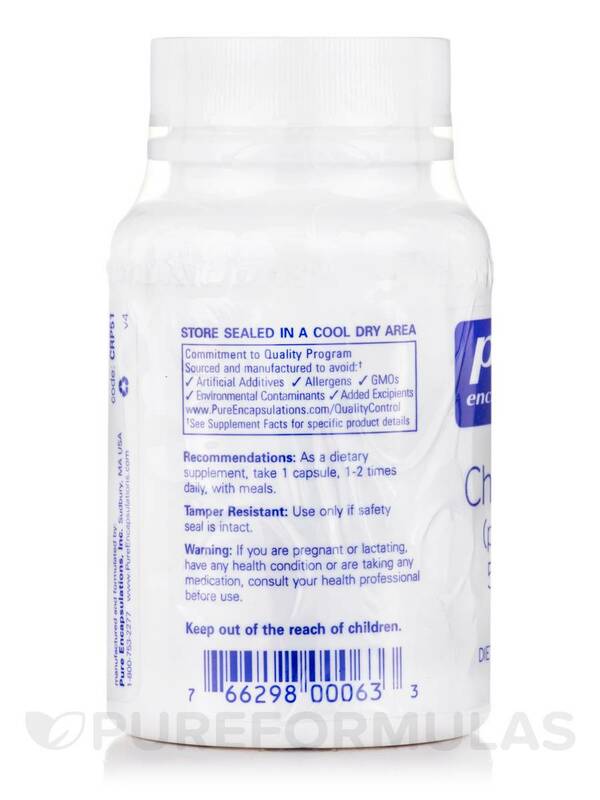 Each bottle of Chromium Picolinate 500 mcg by Pure Encapsulations provides 180 vegetable capsules. At the recommended dosage of one or two capsules daily (in divided doses with meals)‚ it should last from three to six months. An excellent price point for the amount of capsules per bottle. 500 mcg vs 200 mcg. Will have to adjust dosage. 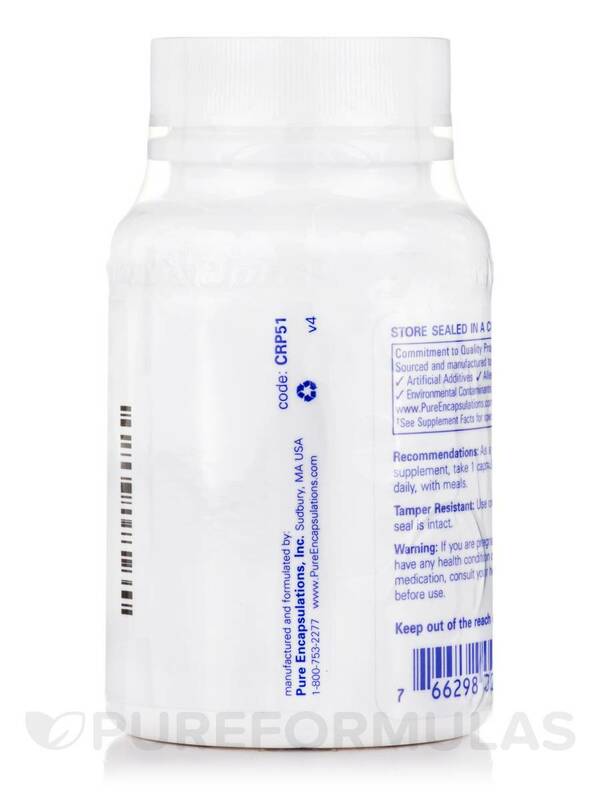 Chromium (picolinate) 500 mcg by Pure Encapsulations recommended by my doctor to reduce high blood sugar. It works! Chromium by Pure Encapsulations is an excellent product! It's a capsule form and good price.